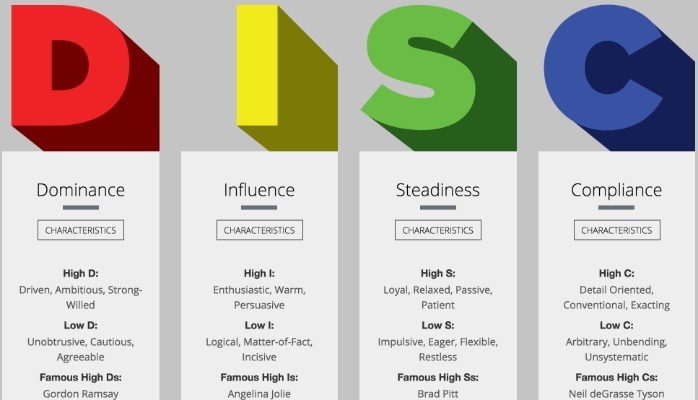 I think personality assessment should be a must for every team. Why? Because I think the cause of most conflict is expecting others to act like you do. I’d written before about the DiSC assessment I use, focusing on your team’s interactions with one another. Now I want to talk about coach-player interaction. Even though most people are a mixture of more than one letter type, see if you can find your top one or two personality types here. 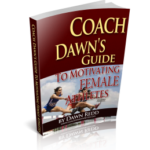 I believe it will help you as you work with your student-athletes. D’s are dominant and like to be in charge. I’d hazard a guess that a lot of coaches are D’s. On the positive side, D’s enjoy solving problems and trust their ability to produce results. At their best, D’s can mobilize teams to solve a problem or achieve a goal. That sounds awesome right? As Newton said though, for every action there is an equal and opposite reaction. D’s can be blunt to the point of being rude and may make rash and reckless decisions. At their worst, D’s can be bullies, loud mouths, and tyrants. What to do: Understand that not everyone thinks as quickly as you do…give them time to mull things over. D’s could do well to build bridges and relationships rather than expecting people to comply just because they say so. I mean, your team will comply because you’re the boss. But if you want your team to play for you and not in spite of you, D’s should see the value of cooperation. I’s are influential and the life of the party. These are your extroverted folks who love to be around people. I’s are charming, optimistic, and outgoing…those we’d call a “people person”. At their best, I’s can be inspirational and communicate a vision or goal in a manner that motivates others to work toward it. I’s see the best in others and help them to believe in their abilities. Sounds like an awesome coach, huh? On the other side of the coin, I’s dislike details and can seem scattered. I’s can sometimes lack follow-through, rarely finishing what they begin…they overpromise and underdeliver. What to do: Understand that you can get folks super fired up with your words…so that means that you’ve got to deliver on those promises. You don’t want to have a group of ten freshmen who you told would be starters…and your sport only starts five! I’s should try to listen more and talk less. S’s are the steady Eddy’s out there. S’s are loyal, friendly, and supportive…they are team players. At their best, S’s can calm tensions and stabilize unsettled situations. S’s work hard to create stable and harmonious environments. Does this sound like you, Coach? Well, on the flip side, S’s are too hard on themselves and take criticism other their work very personally. Creatures of habit, S’s enjoy their daily routines and are resistant to change. What to do: Understand that flexibility is the name of the game. It’s great that S’s will have a routine and a to-do list prepared for each day…you’ve just got to be prepared for things to go sideways every now and then. One of your players might get sick (on the day where she’s a big part of your practice plan!) or it may rain when you were planning on taking your team outside. S’s can have their beloved plans…just be willing to adjust it. C’s are conscientious and careful. If you’re a C, you like to be right and are a stickler for details. You have very high standards for yourself…and those around you. Where I’s are outgoing and boisterous, C’s are quiet, reserved, and business-like. C’s are fair and objective and will always maintain high standards, even when asked to compromise. That’s pretty good, right? At their worst, C’s can get bogged down in details…some would call them a nit picker. C’s prefer to work alone and need to analyze all available options before making a decision. What to do: C’s should understand that some decisions have a timeline and need quick action. Your assistants understand that you’ve charted stats for all practices during the season and the numbers say that you’ve got the right lineup out there. But right now it’s not working and you’ve got to make a change. C’s are cautious by nature, so you should surround yourself with folks who are more adventurous. Each season, we try to create team chemistry among our athletes and help them to get to know one another, but it’s just as important that the coach knows their personality type…and how it’ll interact with each player.